On October 17th, the Alliance of U.S. Startups and Inventors for Jobs (USIJ) released a report detailing the organization’s research into serial attacks on high quality patents at the Patent Trial and Appeal Board (PTAB). The USIJ’s research shows that, far from being a cheaper alternative venue for small businesses to challenge the validity of weak patents being asserted against them as was originally intended, the administrative tribunal has instead become a tool for rich, sophisticated companies who are able to harass owners of valuable patents with duplicative petitions filed either by themselves or by profiteering entities which weren’t envisioned when the Leahy-Smith America Invents Act (AIA) of 2011 was passed into law. The USIJ report states that a basic premise behind Congressional enactment of the PTAB through passage of the AIA was to give those parties being sued or threatened with a suit for patent infringement “one bite at the apple” to challenge patents through inter partes review (IPR) or other AIA trial proceedings. Ironically enough, this “one bite at the apple” limitation is most egregiously sidestepped by consumer tech giant Apple, the top filer of IPRs at the PTAB. 56 percent of the IPR petitions filed by Apple are duplicative in that they challenge the same claims from the same patents which Apple has already challenged in other petitions. The remaining four of the top five IPR petitioners have also filed duplicative petitions in more than one-third of their petitions (Samsung, Google, Microsoft, LG). This data, cited by the USIJ, comes from research on IPR challenges produced by Steven Carlson and Ryan Schultz of Robins Kaplan LLP. That list of companies right there does much to unveil the hypocrisy behind the stated intent of the creation of the PTAB and how the work of that agency has played out in practice. Billed as an alternative venue for small businesses who don’t have the pockets to fight out validity challenges in U.S. district court patent infringement litigation, the PTAB has instead become the playground of the tech elite who have gotten around the PTAB’s statute of limitations on filing petitions to wipe out billions worth of valuable intellectual property from would-be competitors and who have successfully invalidated patents with the help of administrative patent judges (APJs) who formerly represented those companies as lawyers in patent infringement proceedings, a huge potential conflict-of-interest. Again, Apple’s influence in these matters looms large as the proceeding linked stories will show readers. As the USIJ report makes clear, the issue of multiple petitions against the same patent claims is not limited to these major tech firms. They also involve the activities of “risk management” firms like Unified Patents and RPX Corporation which earn money from companies who subscribe to those companies on a monthly basis and then wind up filing IPR petitions on their behalf. Unified Patents has itself become the sixth-most prolific filer of IPRs since the PTAB was created and since the beginning of 2017 up to the date that the USIJ report published, Unified has filed 56 petitions for IPR proceedings. As USIJ points out, these IPR petitions are filed on behalf of large companies who are more than capable of defending themselves in district court. That Congress never intended these types of serial petitions to harass patent owners is made clear both by the record of debate leading up to the AIA’s passage as well as the AIA’s statutes themselves. Statements such as, “It is a rare patent that should be twice subjected to second-window proceedings,” and, “Lengthy and duplicative proceedings are one of the worst evils of other systems of administrative review of patents,” are clearly exhibited in the Congressional record cited by USIJ. Further, Congress’ intent to bar duplicative proceedings is evident in the statute created by the AIA, specifically at 35 U.S.C. § 315(e)(1). This particular statute forbids a petitioner, or privies and other real parties in interest, to either request or maintain a proceeding at the PTAB concerning a patent claim once a first petition on that same claim results in a final written decision issued by the PTAB. As USIJ points out, companies engaging in duplicative petitions often get around the rule in Section 315(e)(1) by filing multiple petitions against a single claim on the same day or in a short time frame, taking advantage of the PTAB’s heavy workload forcing the Board to economize resources and decide multiple petitions on a single day. The USIJ’s report offers a series of proposals to ensure that the PTAB operates within the intent of Congress where it comes to the issue of serial petitions. The USIJ suggests that the PTAB prohibit petitioners, privies and real parties in interest from filing multiple petitions on overlapping claims. The PTAB should also require more robust disclosures for petitioners who challenge patents which don’t threaten their own product commercialization, including identification of identities important to the formation and maintenance of the petitioning entity or those who have communicated with the petitioner regarding the patent’s validity; these parties should be considered privies and real parties in interest. Finally, where a claim has survived a PTAB challenge, further petitions on that claim should be subject to high skepticism and scrutiny. The sidestepping of 35 U.S.C. § 315(e) by the SV Goliaths and others is beyond the pale in its egregiousness, and should be sanctionable. 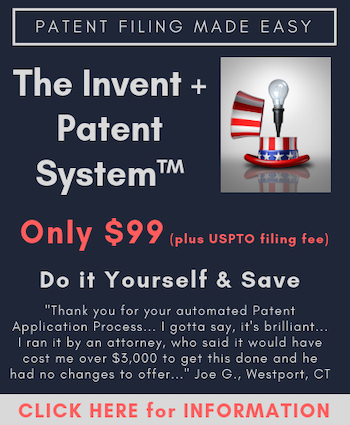 Here’s a more simple and elegant solution to all these problems: GET RID OF THE PTAB. Here, here! Like your thought much. PTAB and IPRs/CBMs are a bad idea gone very bad. No; P-STAB is more accurate. How does one classify the patents as high-quality (or not)? Since the very first paragraph specifically cites ‘high-quality patents’.